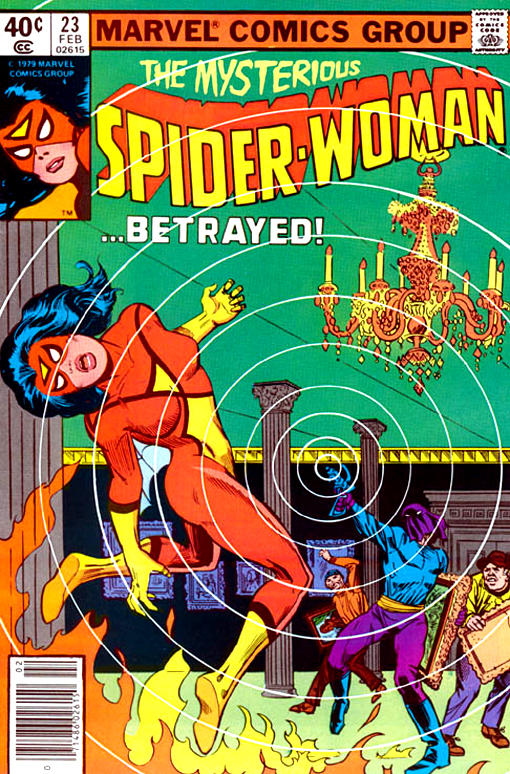 Synopsis: Spider-Woman surprises Capt. Walsh in his office at the Los Angeles Police Dept. with a trio of bound and gagged criminals who were responsible for an art theft at the Los Angeles County Museum. She explains that they are clients of the Gamesman, a criminal mastermind who is pulling the strings of the Los Angeles underworld. As she leaves the police station, Spider-Woman is confronted by a gang of thugs, who overcome her and are about to deliver a severe beating before an L.A. Times reporter named Tim Braverman intervenes. Braverman drops Spider-Woman off safely, asking her out on a date to which she agrees. She returns to see her colleague Scotty McDowell, who reacts jealously to the news that Spider-Woman was saved by Braverman. Our heroine goes out on patrol undercover later that night, learning that the Gamesman is planning a heist the following evening at the International Gem Exhibit. The next day Spider-Woman goes on a date with Tim Braverman and he begs her not to go to the exhibit that evening for fear that she could be harmed by the Gamesman. He punctuates his point with a passionate kiss, stopping just short of declaring his love. Upon her return to Scotty McDowell's office, she finds that her associate has been investigating Braverman and learned that the L.A. Times has no such reported on its staff. That evening Spider-Woman ambushes the Gamesman and his henchmen at the exhibit, but is knocked out by the criminal mastermind's stun gun and left tied to a post as the hall goes up in flames. Fearing for his colleague's life, Scotty follows Spider-Woman to the Civic Auditorium and manages to free her just as the Gamesman returns to the hall. Scotty forces the Gamesman at gunpoint to take off his mask, revealing that the villain is Time Braverman. The criminal explains that he returned to the scene of the crime to free Spider-Woman, declaring his love for her and leaving our heroine thoroughly confused at the end of the issue.